With an ageing striker force in position at Stamford Bridge, you could argue that the club needs to bring in some younger reinforcements this summer. Currently, Gonzalo Higuain and Olivier Giroud are sharing the striking duties but both are the wrong side of 30-years-of-age. Elsewhere, we have Michy Batshuayi on loan at Crystal Palace and Tammy Abraham in loan at Aston Villa, but whether either has a future at Chelsea remains to be seen. So clearly any speculation linking Chelsea with the acquisition of a striker gets my attention. Today, lurking amongst the pages of the German news source, the Bild, is the inference that Chelsea are looking towards the continent and the possible acquisition of a striker who is on the books of the Portuguese side, Benfica. 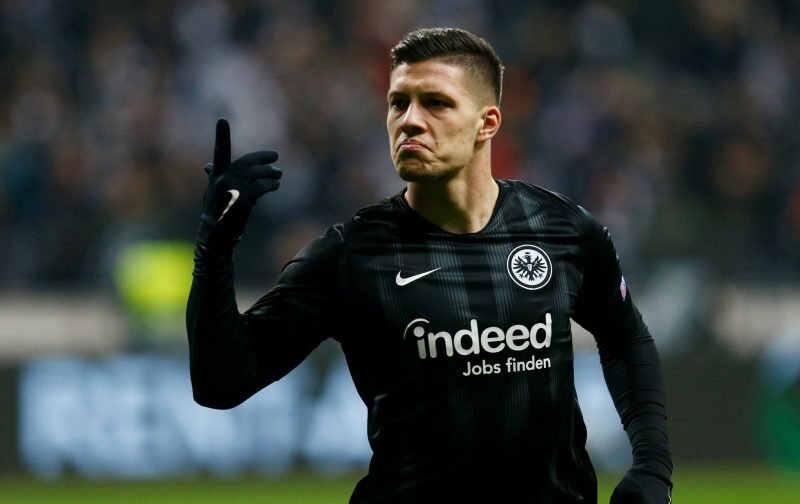 The player in question is the 21-year-old Serbian striker, Luka Jovic, who is currently on loan at the German club, Eintracht Frankfurt, hence the German influence in our sourcing. Sat here in the editorial chair, I have to admit that I know very little about Jovic, however, one would have to question whether he’s superior in any way to our own Tammy Abraham who, surely, after scoring prolifically for Aston Villa, deserves his chance at Stamford Bridge, even more so when I read that the price Chelsea are willing to pay for Jovic is around the €45 million mark!